I will be speaking at Dunes CLE on May 1 (Friday) in Las Vegas regarding "McKesson and the Future of Inequitable Conduct." I will be joined by Robert Ryan Morishita, founder of the Morishita Law Firm, Wesley L. Austin, a shareholder with Austin Rapp & Hardman, and Ryan A. Heck, Ph.D., Patent Counsel and Associate Director of the Technology Transfer Office for the University of Nevada, Reno and the Desert Research institute. The CLE is being held at the Mandalay Bay Resort and Casino in the Banyan D conference room, which is in the South Convention Center Level 3 (Property Map Casino Level). A jury awarded Akamai and MIT $45.5M, finding that Limelight infringed a patent relating to a content delivery network ("CDN"), where page objects are replicated among a distributed set of content delivery service provider servers and end user requests for those objects are redirected to a particular content server. During litigation, the court considered the patents in light of the BMC v. Paymentech decision, and found that the case "left open the possibility that direction or control adequate for a finding of direct infringement might exist where an accused infringer provided data to another entity along with instructions or directions regarding the use of those data . . . [and] suggested that the existence of a contractual relationship between the accused infringer and the entity performing other steps of the accused method was a significant consideration." As Limelight had contracts with customers to access their CDN, the jury found there to be a sufficient relationship for finding infringement. Muniauction did establish a new data point on the continuum between an arms-length relationship and vicarious liability for determining direction or control. In BMC Resources, as discussed supra, the court’s reasoning left open the possibility that evidence of direction or control might be found from the provision of “instructions or directions” regarding the use of the data the defendant provided to the debit networks. 498 F.3d at 1381. It similarly suggested that the lack of a contractual relationship between the defendant and the financial institutions was relevant in finding a lack of direction or control of the latter’s actions by the former . . . Muniauction establishes that direction or control requires something more than merely a contractual agreement to pay for a defendant’s services and instructions or directions on how to utilize those services. I find no material difference between Limelight’s interaction with its customers and that of Thompson in Muniauction. There is no suggestion that the agreements between Limelight and its customers for content delivery services were other than the result of an arms-length contract negotiation. Akamai has identified no legal theory under which Limelight might be vicariously liable for the actions of the content providers. The first step of claim 19 of the ’703 patent, serving the initial web page from the content provider’s domain, is performed by the content provider whether it subscribes to Limelight’s services or not. Limelight’s customers, following Limelight’s instructions, do modify the embedded objects of their web pages or alter their DNS records so that requests for the objects resolve to the content delivery service domain, rather than the content provider domain, in order to take advantage of Limelight’s service. However, this step is performed by Limelight’s customers not because they are contractually obligated to do so; rather, they do so because they wish to avail themselves of Limelight’s service. Under Muniauction, this is insufficient to establish the requisite direction or control by Limelight of its customers necessary to find it liable for direct infringement. Book Review: "Burning the Ships"
Marshal Phelps was best known for his 28-year career at IBM Corp., where he served as vice president for IP and licensing and built the now-legendary $2B a year licensing program. In 2003, Phelps was recruited to join Microsoft to help transform the company's IP into an "open innovation" platform. Naturally, Microsoft's hard-nosed reputation for dealing with competitors caused many skeptics to howl that Phelps' presence was a sign that Microsoft was "keen to [use patents to] reign in Open Source." So far, there has been scant evidence that demonstrates this is the case with Microsoft. So what is Phelps and Microsoft up to and where are they going with all this? 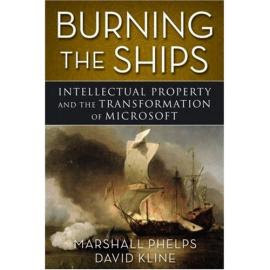 Phelps, who teamed up with famed author and IP consultant David Kline (author of the 2000 best-seller Rembrandts in the Attic) attempts to account for his experiences and explain where he and Microsoft are (IP-wise) in Burning the Ships. The book essentially starts from the time Phelps joined Microsoft around 2003 - money was plentiful, Microsoft reigned supreme, and virtually every major OEM hated licensing with Microsoft due to the non-assertion of patents (NAP) clause written into every Microsoft contract. Since 1993, Microsoft viewed the NAP clause as a means to "patent peace" among the OEMs and the PC industry for limiting patent litigation. According to Phelps, getting rid of NAP was the first major step in setting up an "open innovation" environment which would allow Microsoft to collaborate with others and to "more broadly and rapidly disseminate its technologies and products into the market through the cooperative efforts of others . . . In short, IP-enabled collaboration can materially enhance the bottom line of a company and serve the interests of its shareholders." Another area for improvement was Microsoft's patenting strategy - despite running the largest R&D operation of any company in the world, Microsoft, at that time ranked 34th in the number of patents issued. 6. Use licensing revenue and cost optimization to fund IP&L's expanded efforts. Naturally, not everyone in Microsoft was on board with Phelps' vision, and the book provides a very interesting (but understandably limited) "behind-the scenes" account of Phelps' "transformation" of Microsoft, as well as dealings with competitors during that time. The book is written in a first person narrative, detailing many of Phelps' encounters and experiences, which, considering the 177-page length of the book, are quite plentiful and involve a LOT of different individuals (as one earlier review put it: "at times it seems like you are reading the organizational chart of the Microsoft Intellectual Property and Licensing department."). Intended for business executives/manager types, the book provides a refreshing peek into the world of IP portfolio management. Of course, most every book has flaws, and Burning the Ships is no exception. While a certain amount of "spin" goes into books that recount incidents or periods of time, Burning the Ships can lay it on thick at times. For example, in one portion of the book, Phelps recalls Nathan Myhrvold explaining that, during Microsoft's expansion, companies will become more aggressive in asserting patents against Microsoft, and writes Myhrvold responded that "I was like, 'Oh my God, they can do this? They can just demand money from us?' A lot of people were shocked by that, I can tell you." There are other examples of this, but it never reaches a level that detracts from the main story on the role that IP can play in liberating previously untapped value in a company and opening up powerful new business opportunities in today’s era of "open innovation." Inter Partes Reexams Deflating in the E.D. Tex. BarTex sued FedEx in August 2007 alleging infringement of a Scott Harris patent directed to a "bar code data entry device." While the suit was pending, pleadings were filed in an Illinois litigation stating that the Fish & Richardson law firm (Harris’s former employer) had asserted ownership over some of Harris’s patents, including the patent-in-suit. BarTex filed for Partial Summary Judgment of ownership in the Texas case, and the court granted BarTex's motion on November 2008. Just over a month later, FedEx filed an inter-partes reexamination action that subsequently resulted in an Office Action rejecting all claims. FedEx then filed for a motion to stay. If you didn't guess, the court denied the motion. Although the PTO reports that the average pendency of an inter partes reexamination is 28.5 months, if the patent holder decides to defend its rights, the process is likely to require an average of 43.5 months. Id. (citing Institute for Progress, Reexamining Inter partes Reexam (2008)). If the decision is appealed, it is estimated that the entire process will require an average of 78.4 months, although this estimate may be subject to change since there has never been an inter partes reexamination that has gone through the entire reexamination process, including appeal, and made it to completion. Id. BarTex argues that granting the stay would prevent BarTex from licensing the ‘377 patent for 6.5 years and eviscerate BarTex’s right to exclusivity until at least 2016. The Court finds that BarTex would be unduly prejudiced if the Court were to grant a stay. A stay could potentially prevent BarTex from enforcing its rights for 6.5 years. This extreme delay, which has been exacerbated by FedEx’s delay in requesting reexamination, could allow for a loss of critical evidence as witnesses could become unavailable, their memories may fade, and evidence may be lost. The kicker in this case was that BarTex, recognized as a non-practicing entity, successfully argued that the delay from the inter partes proceedings would unduly prejudice potential injunctive relief. BarTex may still be entitled to a permanent injunction, even though it does not practice its patent. See Ebay Inc. v. MercExchange, LLC, 547 U.S. 388, 393 (2006) (declining to adopt a categorical rule that non-practicing patent-holders cannot receive injunctive relief); see, e.g., Commonwealth Sci. and Indus. Research Org. v. Buffalo Tech. Inc., 492 F. Supp. 2d 600, 607-08 (E.D. Tex. 2007) (granting permanent injunction to a non-practicing patent owner). While BarTex will be able to collect damages for infringement occurring during the stay, BarTex may still suffer from irreparable harm during that time. Should FedEx be found to infringe the asserted patent in this litigation, damages alone may not fully compensate BarTex for a lengthy delay resulting from reexamination. The right to exclude, even for a non-practicing entity, may be the only way to fully vindicate the patentee’s ownership in the patent. Also interesting was the court's unsympathetic stance towards the timing of the reexamination request. FedEx argued that it did not file the request earlier because it make no sense to do so, given the uncertainty over the patent's ownership. When ownership was determined, the reexamination was filed a month later. While FedEx’s concerns over ownership of the ‘377 patent may offer some explanation as to its delay in seeking reexamination, the Court is not persuaded by FedEx’s arguments. A compelling argument can be made that FedEx had ample opportunity to seek reexamination prior to the ownership issue even being raised in this Court. Moreover, when the ownership issue was raised in this Court, it was dealt with in some detail over a period of multiple months. FedEx did not request a stay of this litigation while the ownership issue was pending nor did FedEx take a position on the issue. Missing from FedEx’s assessment of the timing of the reexamination request is an acknowledgment of the fact that it was accused of infringement in August of 2007. Irrespective of the ownership issue arising thereafter, FedEx had every reason to, as promptly as possible, seek reexamination and a stay if that is the option it chose. In sum, the Court cannot conclude that FedEx has acted with requisite diligence in seeking reexamination and a stay. The above referenced case was filed on May 9, 2006. After it had been pending for over a year, the parties stipulated to a stay pending the resolution of a "Reissue Application," that had been filed with the United States Patent and Trademark Office (USPTO) in June of 2007. It now appears that the USPTO did nothing with the Reissue Application for nearly a year and half. It did not substantively address the application in any way until October, 2008. Following a case management conference, the parties filed a "Joint Statement Regarding Status of Case" on April 8, 2009, one month shy of three years since the case was filed. In that status report the parties state that the USPTO has notified the parties that it intends to review the Plaintiff's responses to the USPTO's office action within the next sixty days. After that, the parties report, Plaintiff should know the likely time-line for completing the review of the reissue application. As the case has been pending for nearly three years in this Court, and as there is no clear end in sight for the administrative process begun in the USPTO nearly two years ago, it is recommended that the instant case be dismissed without prejudice while the parties complete their administrative proceedings before the USPTO. If at the end of that process there are still issues to litigate, Plaintiff is free to file the lawsuit anew. Maria Pluvia Zuniga and Dominique Guellec from the Organization for Economic Co-Operation and Development (OECD) have published a working paper titled "Who Licenses Out Patents and Why? Lessons From a Business Survey", which looks at the results of a business survey carried out on the licensing-out of patents. According to the authors, "the goal was to investigate the intensity of licensing to affiliated and non-affiliated companies, its evolution, the characteristics, motivations and obstacles met by companies doing or willing to license." • About 20% of European companies and 27% of Japanese companies holding patents license out at least one of their patents to an unaffiliated partner. • The relationship between size and probability to license out among patent holding companies is U-shaped: the smallest ones and the largest ones are more often involved in licensing out than medium-sized ones. • The highest proportion of firms license-out in Europe is found in the UK, followed by Nordic countries. • Earning revenue is the major motivation for licensing out, followed by sharing technology with other companies. “Constrained licensing” (pressuring alleged infringers to take a license) is also important in Europe. • Cross-licensing out is the second motive for licensing out, both in Europe and in Japan: that shows a role played by patents in technology exchanges between companies. • About 24% of firms in Europe declare having patents that they would be willing to license out but could not (53% of firms in Japan). The figures are higher within licensing companies and still higher among small firms. The major reason for this failure, according to the European and Japanese surveys, is the difficulty in identifying a partner. • The use of patents for raising funds is recognised as very important by many European firms, notably for venture capital (11%) and private equity (13%). This rating is much higher for young firms (31% and 40% respectively). Plaintiff ("RGB") filed suit on September 19, 2007 alleging infringement of patents relating to motion control methods and systems that include software for communicating with and controlling different motion control devices. A year after litigation commenced, multiple inter-partes reexamination requests were granted in the PTO. Defendants moved to stay the litigation. In the past, this Court has noted the findings of the Institute for Progress, an independent organization that has analyzed the inter partes reexamination process. See ESN, LLC v. Cisco Systems, Inc., No. 5:08-CV-20-DF (E.D. Tex. Nov. 20, 2008). On average, inter partes reexaminations in which a patentee defends its rights may take anywhere from thirty-four to fifty-three months without an appeal. Id. at 4. If the PTO’s finding is appealed the process may take between five to eight years. Id. Because Defendants’ reexamination requests were filed a little over six months ago, a stay in this case would, at a likely minimum, last another twenty-eight months. The Court is not convinced that reexamination will simplify the issues for trial in this case. It is difficult to gauge, at this early stage in the reexamination process, how likely it is that any of RGB’s patent claims will be cancelled or modified through amendment. Furthermore, it is this Court’s experience that the reexamination process may actually complicate a case by creating additional prosecution history estoppel and disavowal arguments that must be addressed during claim construction. To convince this Court that a stay will actually simplify a case, the requesting party must do more than merely proffer oft-cited reexamination statistics and generic judicial efficiency arguments. This Defendants have not done. Accordingly, this factor weighs against granting the stay. The other week in Cornell University v. Hewlett-Packard, Judge Randall, sitting by designation in the Northern District of New York, chopped Cornell's damage award from $184M to $54M, stating that "Cornell simply stepped one rung down the Hewlett- Packard revenue ladder from servers and workstations to the next most expensive processor incorporating product without offering any evidence to show a connection between consumer demand for that product and the patented invention"(see more here). In Cornell University v. Hewlett-Packard Company, No. 01-CV-1974 (N.D.N.Y. Mar. 30, 2009) (Ex. 1), the Honorable Randall R. Radar, sitting by designation from the United States Court of Appeals for the Federal Circuit, issued a significant ruling limiting the scope of the royalty base for damages in patent infringement cases, and made clear that Star’s pie-in-the-sky damages theory in this case should be stricken. [T]he decision in Cornell bears directly on three of the fatal flaws in Star’s damages theory, as addressed in RJR’s pending motions in limine on damages (see Dkt. Nos. 603 and 749): (1) Star seeks a royalty base derived from cigarette sales, even though the output of the patented proces sends with tobacco, not with the cigarettes that only result many steps later; (2) there is no nexus between the farmers’ alleged use of the patented process and cigarette sales sufficient to invoke application of the entire market value rule; and (3) Star improperly aggregates license agreements under an A + B + C + D formula, even though only A – a license agreement setting forth a royalty base tied to pounds of tobacco – is related to Star’s patents. If Star is permitted to mislead the jury with its seriously flawed damages theory, the decision in Cornell demonstrates why the resulting award could not withstand review. Earlier, this blog and others picked up on comments from PTO officials indicating that decreased rates of patent filings and allowances, coupled with the current economic morass, is translating into a toxic mix for the financial health of the USPTO. The Obama administration's selection of a Patent and Trademark Office director cannot come soon enough, according to officials inside the agency. They cite serious cash-flow problems, internal cutbacks and a downturn in the number of applications filed and patents granted amid continued U.S. economic gloom . . . If fee collection trends continue, PTO will take in $100 million below its projected year-end amount, according to a memo sent to employees Monday. The PTO . 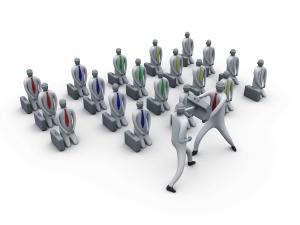 . . recently instituted a hiring freeze for virtually all of the agency's divisions . . . Officials have curtailed bonuses for all noncontractual awards, which affected those who do not belong to bargaining units, and they have slashed paid overtime for examiners starting this week. [T]he PTO has told employees that furloughs and layoffs would be a last resort. The office has also significantly slowed its $250 million per year plan to install servers and energy-efficient equipment. The existing system has not been upgraded in almost a decade, and Budens said some are worried the agency's IT network is "hanging on by bubble gum and bailing wire." • Make Hay" effect: Once a drug is introduced to the market, an innovator has a short time to recoup its development costs -- upwards of $1 billion over 12 years -- before a competitor enters the market. Faced with patent protection of limited duration, innovator companies must maximize their revenues in the short period before generics are introduced. To do this, they generally raise prices and invest more in marketing the drug, tactics that run counter to Hatch-Waxman, the intent of which was to lower prices. • "Blockbuster" effect: Facing increased drug development costs and a limited period of time before generics can compete, innovators typically focus only on those drugs that promise huge returns on investment. To recoup the amount of time and money an innovator spends on a new drug, experts have shown that to break even, a drug would have to achieve annual revenue of roughly $150 million, which is impossible unless a drug targets a large population, or charges a high price per treatment. This blockbuster effect has led pharma companies generally to focus development efforts on only the largest potential indications. • "No Man's Land" effect: As soon as a company receives a patent for a compound, the clock for commercialization begins ticking. Each year a patented drug spends in development is another year of lost revenue. If enough time elapses, there comes a point where the compound will never be able to earn sufficient return on investment. This could lead to promising compounds being dropped from development, including those for critical diseases like cancer, Parkinson's, Alzheimer's and others, because there is no way to fund the research once the compound has crossed into this "no man's land." Deloitte estimates this can occur within as little as one year of achieving a patent. Last month, the U.S. Business and Industry Council Educational Foundation sent a letter to Congress opposing patent reform. Signatories to the letter included organizations such as Capitol Hill Prayer Alert, Ethics and Religious Liberty Commission of the Southern Baptist Convention, Minuteman Civil Defense Corps., and, last but not least, the National Federation of American Hungarians. Laszlo Pasztor, the honorary chairman of the National Federation of American Hungarians, has spent the last few decades, he says, working for the "liberation of communist and oppressed countries." Last month though, Pasztor joined a somewhat different cause: opposing patent reform. "It was in Chicago or Detroit, I can't remember," the octogenarian Pasztor said, apologizing for his failing memory in old age. The meeting, also attended by three congressmen and Senator James Inhofe (R-Oklahoma), included discussion on patent reform. "Somebody brought this up, I don't know for what reason," said Pasztor. He heard the issues and felt the bill might harm the competitiveness of the U.S. economy. "So I gave them permission to use my name," Pasztor said. Takeda originally filed a patent application disclosing certain cephem compounds and the process for making those compounds in Japan in 1974, and in the U.S. in 1975. Since that time, Takeda filed a series of continuation applications (filed under the "old", pre-June 1995 regime) in the PTO, many of which issued as patents. In 1998, the PTO received 2 anonymous requests for reexamination, asserting that one of the patents was invalid for "obviousness-type" double patenting in view of Takeda's prior patents and other prior art. During the PTO proceedings, Takeda put forth evidence that the later-filed method was a materially distinct process. However, the PTO held that, since the evidence was developed after the date of the original invention (i.e., 1974-75), it could not be used to defeat the double-patenting rejection. Takeda appealed to the district court, and the court overturned the double patenting rejection, concluding that "subsequent developments in the art [are relevant to] determining whether alternative processes exist" when weighing patentable distinctions for double patenting. The novel legal question in this case asks if later-developed alternative processes are relevant in the product-process "patentably distinct" inquiry. The PTO contends that the date of invention, in this case December 19, 1974, governs the relevance of products and processes in the double patenting context. Thus, the PTO submits that the date of invention governs the timing of double patenting analyses because other issues relating to patentability are judged from the date of invention . . . In the alternative, the PTO posits that alternative processes must at least appear before issuance of the primary patent application. Takeda, on the other hand, argues that the PTO’s approach is too limited. In its view, processes developed after the date of invention deserve a role in the double patenting calculus. The secondary application (in this case, the process application of January 8, 1990) actually triggers the potential of an "unjustified extension of patent term." When filing the secondary application, the applicant essentially avers that the product and process are "patentably distinct." Thus, the relevant time frame for determining whether a product and process are "patentably distinct" should be at the filing date of the secondary application. In this case, Takeda filed the ’216 process patent application on January 8, 1990. This approach allows an applicant to rely on some later-developed methods to show that the product and process are "patentably distinct," even though the alternative processes for making that product may not have been known at the filing date of the primary application. This rule gives the applicant the benefit of future developments in the art. At the same time, however, it prevents the inequitable situation that arises when an applicant attempts to rely on developments occurring decades after the filing date of the secondary application. [W]hile the majority’s approach is more restrictive than that urged by Takeda, it still allows Takeda to exclude sixteen years of prior art for invalidity purposes (such as 35 U.S.C. §§ 102, 103), while simultaneously taking advantage of that art to overcome a double-patenting rejection. This is what troubles me about the majority’s understandable desire to find a middle ground in this case. It allows Takeda to have it both ways. In addition, as far as I can tell, there is no other doctrine or rule that allows unpatentable material to spring back into patentability based on later developments in the field. How Low is Too Low for Patent Prosecution? Last week Gene Quinn published a post titled "Open Source Race to Zero May Destroy Software Industry", where he asked the question "does anyone really think that paying $1,400 for an allegedly complete patent application is a wise business decision?" Needless to say, the post generated a flurry of controversy. Interestingly, Jackie Hutter from the IP Asset Maximizer Blog published a post titled "How a Patent Strategy Focused Only on Obtaining the Lowest Cost Patents May Reveal a Company's Future Inability to Remain Viable" just a month earlier, where she revealed in considerable detail how she was approached by "a large printer manufacturing company" to draft patent applications from scratch for $1,300. According to the managing patent attorney, he expected to obtain patents from this process that could be the subject of future litigation. Jackie declined the work. Read more here (link). Moving PACER to a Free Service - speaking of free software, the 2002 E-Government Act had instructed the agencies and the courts to move toward free public access to court records. Despite numerous taxpayer-funded agencies setting up free portals, PACER continues to lock public documents behind a paywall, lacks a reasonable search engine, and has an interface that's inscrutable to non-lawyers. While the courts try to address these flaws, RSS pioneer Aaron Swartz and open government activist Carl Malamud took matters into their own hands The courts had launched a pilot program that gave free PACER access to patrons of selected libraries, so Swartz and Malamud went to the libraries with thumb drives and used a Perl script to download as many documents as they could. They got about 20 million documents before the courts abruptly canceled the trial. The documents—about 700 GB in total—are now available from Malamud's website, but there are still terabytes of public documents locked behind PACER's paywall. To access Malmud's website, click here (link). The judges of the Northern District of Illinois have issued for public comment proposed local rules to guide the pretrial procedures on patent cases. The proposed local patent rules were drafted by a committee of experienced lawyers, who are affiliated with the Intellectual Property Law Association of Chicago (IPLAC), and four district judges. A copy of the proposed rules may be downloaded here (link). The proposed rules are modeled after the same rules used in the Eastern District of Texas and the Northern District of Califormia regarding infringement, noninfringement and invalidity contentions. However, the claim construction process is different: claims are construed at the end of fact discovery, where the accused infringer gets to file an opening claim construction brief, followed by a response brief by patentee, followed by a reply brief by the accused infringer. Fact discovery closes forty two days after the claim construction rulings, which triggers expert discovery followed by a dispositive motion deadline. The Patent Rules are scheduled such that a patent trial should occur within two years of serving the complaint. Assuming that schedule is enforced, it would result in a significant speeding up of, at least, the larger patent cases in the Northern District. Removing "bad" patents is considered a public good, so federal law provides broad challenge right that allow anyone from the public to challenge a patent's validity almost any time. But federal law goes further than just making patent challenges easy; it also makes them nearly impossible to contract away. Federal patent licensing policy, which preempts state contract law, has created a situation where no pre-litigation patent licenses are final, leaving licensees free to avoid royalties at any time. This inalienability of patent challenge rights comes at a cost, a cost borne by many patent licensees and their downstream customers. Patent holders quite rationally increase the royalties licensees must pay to offset their costs if the patent is challenged: litigation costs and loss of royalties if the patent is invalidated. Licensees, it follows, might seek a lower price by agreeing not to challenge the licensed patent, but the law will not allow them to do so. The result is royalty inflation; the policy favoring elimination of bad patents costs every licensee by providing an inalienable challenge right that might never be exercised. This cost is a tax of sorts, what this article calls the “patent challenge tax.” In addition to inflated royalties, the tax causes trickle-down costs to consumers and disincentives to create and license patented technology. One of the issues that Risch tackles off the bat is the "No Challenge Clause" for licenses that became suddenly in vogue after the SCOTUS MedImmune decision. While some argue that it is "unsettled" whether a no-challenge clause is enforceable, Risch quickly points out that the law is quite settled in that such provisions are void. Cases in several circuits make clear that no-contest clauses are void, and those opinions rely not only on Lear (which does not actually hold that such clauses are void), but also on several prior Supreme Court decisions, including one that explicitly held a no-contest clause void. It is unclear where the belief that the law is unsettled originates, but there are a couple of possibilities. First, the cases striking such clauses are for the most part more than 25 years old, pre-dating the Federal Circuit. There have been few cases since 1982 to address the issue, and most of those cases are limited to a very particular circumstance – whether no contest clauses are void as part of consent judgments or settlement agreements that terminate litigation. No court considering an ordinary license has upheld such a provision. The terms that are most likely to be effective – other than the explicit promise to challenge which is now unenforceable – are those that most increase the cost to the licensee in case of challenge. For example agreeing to pay non-refundable escalated royalties during the pendency of the challenge or agreeing to pay, win or lose, for all the patentee’s attorneys’ fees are likely to have the most impact on the challenge tax. Unfortunately, these highly effective methods are also most likely to be void. The difficulty is identifying those methods which are both effective and legal. This article suggests that the best alternatives also increase costs through escalating royalties and fee-shifting, but only do so when the licensee loses the challenge. These strategies have the benefit of lowering the patentee’s expected cost, but they are also likely legal because they only increase the licensee’s costs if the challenge is unsuccessful. These choices are also likely to be more palatable to both parties than terminate-on-challenge provisions. Risch also highlights a number of policy issues in the paper, and even provides some (very handy) sample license language in the appendix. Avery interesting paper that is worth a read. Sitting by designation, Judge Rader considered HP's motion for JMOL seeking to reduce a royalty base to include only the earnings attributed to the infringing technology. The jury found that HP infringed U.S. Patent No. 4,807,115 titled “Instruction Issuing Mechanism For Processors With Multiple Functional Units", and awarded Cornell over $184M. The jury arrived at this award by applying a 0.8% royalty rate to a $23,005,506,034 royalty base, which included earnings from the sale of many components of HP’s products that were allegedly not covered at all by the claimed invention. Without getting too technical, the patent claims are directed to technology that issues multiple and out-of-order computer processor instructions in a single machine clock cycle. This technique employs a dispatch stack and precedence count memory. By achieving multiple and out-of-order processing, the invention enhances the throughput of processors with multiple functional units. As a practical matter, the patent covers a component of the instruction reorder buffer (IRB), which itself a part of a computer processor. In an HP server, these processors are a part of CPU modules that, when combined with a temperature controlling thermal solution, external cache memory, and a power converter, make up what HP calls “CPU bricks.” A set of CPU bricks is then incorporated into a cell board, and that cell board is finally inserted into a server, where it functions as the server’s processing engine. and workstation systems. The court repeatedly warned Cornell that it would "scrutinize the damages proof . . . and expected Cornell to present well-documented economic evidence closely tied to the scope of the claimed invention." Nevertheless, Cornell went forward to argue that it deserved royalties on a base of the more than $23 billion in sales HP would have made if it had sold all of the alleged infringing processors as CPU bricks. The actual math is not at issue, as both parties agree on $23 billion as the appropriate royalty base based on CPU brick sales. The important point is not the way that Cornell derived this royalty base, but that it exceeded again this court’s direction and proceeded to attempt to show economic entitlement to damages based on technology beyond the scope of the claimed invention. The entire market value rule indeed permits damages on technology beyond the scope of the claimed invention, but only upon proof that damages on the unpatented components or technology is necessary to fully compensate for infringement of the patented invention. Thus, this court faults Cornell for using the CPU brick as the royalty base without credible and economic proof that damages on the unpatented portions of this technology was necessary to compensate for the infringement. Moreover, this court finds fault in the origins of this royalty base figure. The $23 billion amount does not come from adding up invoice amounts, nor from actual CPU brick sales to Hewlett-Packard’s customers. Those customers by and large purchased complete server and workstation systems, not CPU bricks. Rather, the $23 billion base simply reveals the revenues Hewlett-Packard would have obtained if it had sold each of the infringing processors in conjunction with a CPU brick. Notably, Cornell chose this hypothetical royalty base in favor of another alternative more clearly relevant to the value of the patented invention—the revenue Hewlett-Packard would have earned had it sold each infringing processor as just that, a processor, without any additional noninfringing components. Instead of linking its base amount to the processors (of which the infringing IRB is an important component), Cornell simply stepped one rung down the Hewlett- Packard revenue ladder from servers and workstations to the next most expensive processor incorporating product without offering any evidence to show a connection between consumer demand for that product and the patented invention. Accordingly, Hewlett-Packard now requests that this court enforce its ruling at trial that Cornell is ineligible to collect damages under the entire market value rule and reduce the royalty base to account only for the value of the processors incorporating the patented technology. Based on a thorough review of the record, this court grants Hewlett-Packard’s motion. As a result, the damages were reduced from $184M to $53,494,282. After yesterday's announcement of "very significant" changes to the patent reform bill, copies of the proposed amendments have started to float about the blogosphere (courtesy of Hal Wegner). (1) COMPENSATORY DAMAGES AUTHORIZED.—Upon finding for the claimant the court shall award the claimant damages adequate to compensate for the infringement, but in no event less than a reasonable royalty for the use made of the invention by the infringer, together with interest and costs as fixed by the court. In determining damages, the court will direct the jury to consider any relevant factors or methodologies, under applicable law, based on the evidence presented. (2) USE OF EXPERTS PERMITTED.—The court may receive expert testimony as an aid to the determination of damages or of what royalty would be reasonable under the circumstances. The court shall identify the methodologies and factors that are relevant to the determination of damages, and the court or jury, shall consider only those methodologies and factors relevant to making such determination. (2) DISCLOSURE OF CLAIMS.—By no later than the entry of the final pretrial order, unless otherwise ordered by the court, the parties shall state, in writing and with particularity, the methodologies and factors the parties propose for instruction to the jury in determining damages under this section, specifying the relevant underlying legal and factual bases for their assertions. (3) SUFFICIENCY OF EVIDENCE.—Prior to the introduction of any evidence concerning the determination of damages, upon motion of either party or sua sponte, the court shall consider whether one or more of a party’s damages contentions lacks a legally sufficient evidentiary basis. After providing a nonmovant the opportunity to be heard, and after any further proffer of evidence, briefing, or argument that the court may deem appropriate, the court shall identify on the record those methodologies and factors as to which there is a legally sufficient evidentiary basis, and the court or jury shall consider only those methodologies and factors in making the determination of damages under this section. The court shall only permit the introduction of evidence relating to the determination of damages that is relevant to the methodologies and factors that the court determines may be considered in making the damages determination. (iii) there is sufficient evidence that the infringer had a good faith belief that the patent was invalid or unenforceable, or would not be infringed by conduct later shown to constitute infringement of the patent. claim of a patent may be canceled or held invalid or otherwise unenforceable." While there have been reports that post-grant review would be based on "an interesting question" as opposed to "a substantial new question of patentability", such language is not seen in the presently proposed amendments.